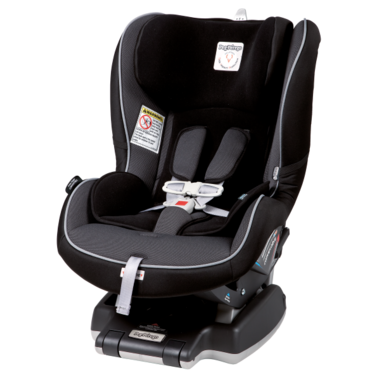 The safety and style of the Primo Viaggio car seat, is now available as a Convertible. 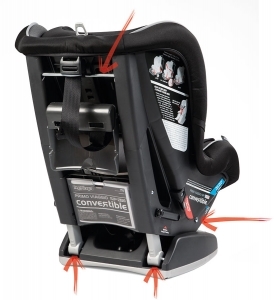 The Primo Viaggio Convertible follows child from infancy through toddlerhood by converting from a rear-facing to a forward-facing car seat. Provides maximum safety and Adjustable Side Impact Protection. 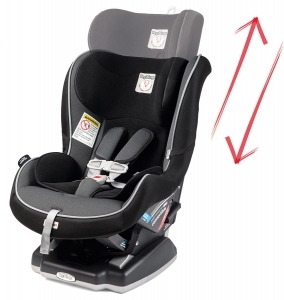 Easily adjusts to 10 different positions, even with the child in the seat, ensuring the best and safest fit. A shock absorbing foam element ( SAFE) device located below the shell crumples upon impact, reducing stress on child's neck and shoulders in the event of a crash. 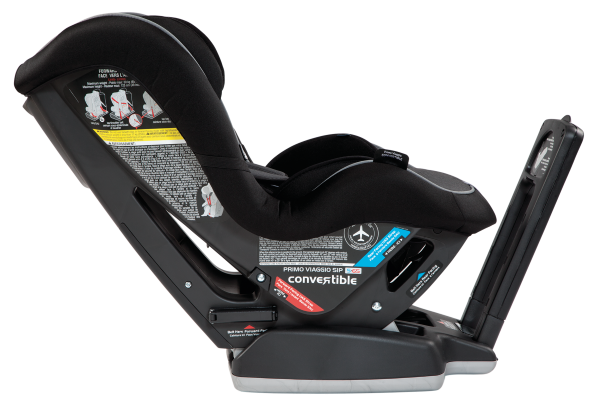 Peg Perego products are excluded from all coupons and promotions. This is my second time purchasing this car seat for my second child and I can only rave about the quality construction. I am able to fit two of these seats in the back of my Honda CRV with ease. Installation is fast and easy, using both the seatbelt or UAS methods to secure this seat to my car. When most of us spend a lot of time driving our kids round in our cars, you don't want to skimp on quality... You want your kids to be comfortable, especially considering how long they will get to use a seat like this! 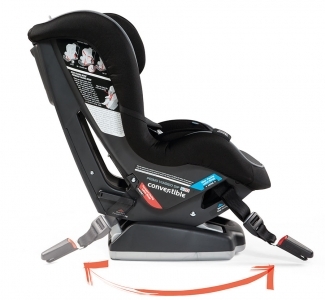 Great transition from our infant peg perego seat. Takes up less space in rear facing mode than most others. We use it a Mazda 3. Amazing car seat! It arrived within a week of ordering it, and I found the instructions really easy to follow as I was hooking it up into my car. It's not overwhelmingly large like a lot of other convertible car seats (still lots of room in the back seat of my Ford Fusion!) 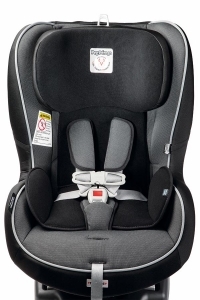 I would highly recommend this car seat to anyone. It safe, comfy and your child will love it!